The young alternative and conceptual artist has continued working and growing, pushing the boundaries of genres with his ever changing music. Inspired by anime, comic books, manga and artists such as Lupe Fiasco, Childish Gambino and J. Cole. Yp has a unique blend of reality and fiction in his lyrics delivered by various flows and unorthodox beats. An often lyrical and experimental artist with various, sometimes unpredictable styles. Outsider Yp (formerly known as Young Phantom), spent 2016 doing the festival rounds, performing with Wriggle Effect at Life Festival, Word Up Collective at Electric Picnic, Townlands Festival and more. 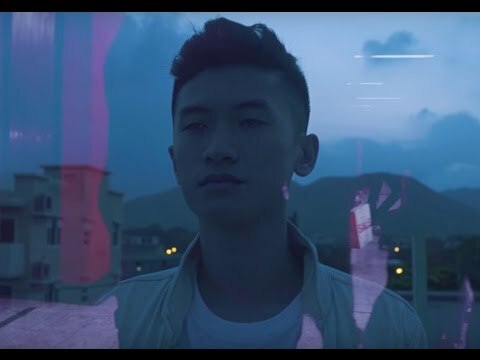 Yp released his debut music video in March of 2017, shot in Hong Kong, 'Saddest Day' which has been covered by various outlets including Redfm, RTE 2XFM and Spin South West, Nialler9, Broadsheet, District Magazine and more. The ever eccentric rapper plans to take become household name throughout Ireland before taking his live performance to the UK, and eventually branching out to the States and beyond.